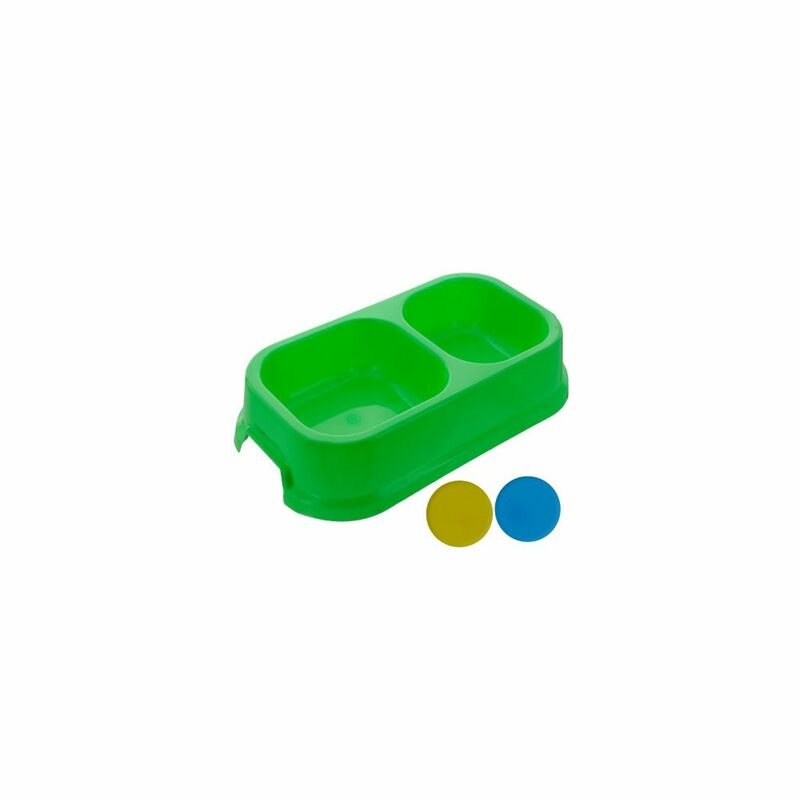 Feeding your dog is made simpler with this Double Dog Dish. Two sections allow for food and water, dry and wet food or feeding two dogs. One section measures approximately 4 x 4.25 x 1.5 deep and the other is approximately 4 x 3.25 x 1.5 deep. Lightweight and easy to clean. Measures approximately 10 x 5.5 x 2.5. Comes in assorted colors. Comes loose.